There Is A Cheese Advent Calendar And We Want In Now! Okay, so we aren't quite in The 'C' Word season. Let's deal with Halloween first and then hey it's a free for all. However, when we get festive fromage news that has our cheese wheels spinning then like a fondue bowl at a key party in the midlands in the mid 1970s we are going to share it. WARNING: when we first saw this we got pretty emotional. Forget the chocolate lads THIS is where it's at. 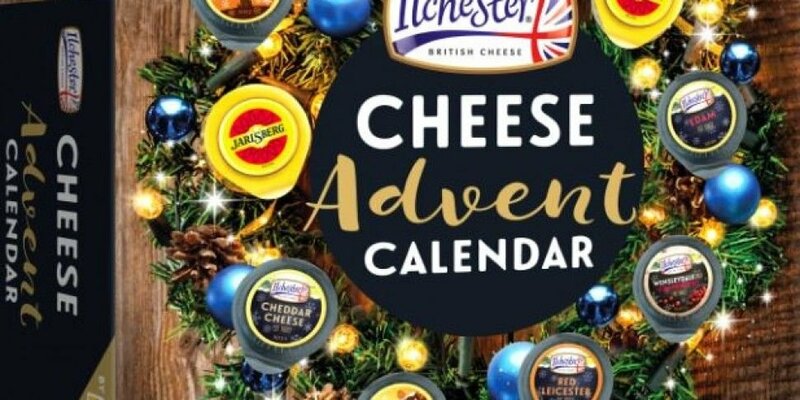 The Cheesey Advent Calendar contains 24 individually wrapped cheeses, in 7 different varieties. It's only available in Sainsburys and Asda in The UK. Is there any way we can get an Irish one? Praise be to Cheesus they'd sell them out in minutes! If you want to see what it's all about then check out this super fast special effects laden review video!